The vehicles listed below served as service loaner cars for our Honda service customers. We keep these cars in Honda Loaner Car service for 6-months to a year before rotating-in new cars to replace them and preparing the retired Honda service loaners cars for sale. Our Honda technicians bring each of these vehicles up-to-date on all maintenance, and then our detail department meticulously cleans, waxes and details these vehicles before we offer them for sale. The benefit to you is that these current-model or one-year-old vehicles are offered to you with the remainder of the factory warranty and steeper discounts than can be offered on other new Hondas! Retired Honda Loaner Cars deliver the best of both worlds – big discounts from their original MSRP prices AND a Limited Warranty that covers engine and driveline components! Browse the vehicles below – but be aware that this inventory changes frequently as current cars are sold and new vehicles are added as they are retired from loaner service. So if you don’t see the exact car you want – check back frequently, or better yet – contact us and we’ll let you know what is coming out soon so you can reserve your next car before it ever goes on the market! **FRESH FLUIDS****FULL SAFETY INSPECTION**, CARFAX 1-Owner. iPod/MP3 Input, Bluetooth, Back-Up Camera, Alloy Wheels, All Wheel Drive, Edmunds.com explains "The 2018 Honda CR-V sets a new pace for its rivals to follow. Notably, we picked the 2018 Honda CR-V as one of Edmunds' Best Family SUVs and Best Small SUVs for this year." 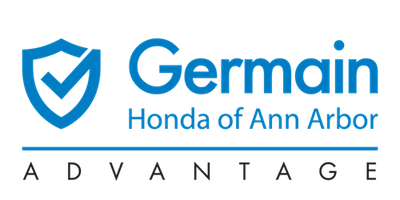 ABOUT US At Germain of Ann Arbor, our friendly staff is happy to help you find the best value and vehicle for your motoring needs! Review our websites where we list the most up to date information on our reconditioning process, all repair records, and information related to this vehicle through the My Car Pedigree link, you can also view the KBB Fair Purchase Price and the CarFax report for all our inventory. Simply call us today at Honda of Ann Arbor, 734-219-6682, or at MINI of Ann Arbor, 734-219-6681 BUY WITH CONFIDENCE This all comes on this 2018 Honda CR-V LX! . .
**FRESH FLUIDS****FULL SAFETY INSPECTION**, CARFAX 1-Owner. Sandstorm Metallic exterior and Ivory interior, EX trim. Sunroof, Heated Seats, Satellite Radio, iPod/MP3 Input, Bluetooth, Turbo Charged, Alloy Wheels, Back-Up Camera, All Wheel Drive. ABOUT US At Germain of Ann Arbor, our friendly staff is happy to help you find the best value and vehicle for your motoring needs! Review our websites where we list the most up to date information on our reconditioning process, all repair records, and information related to this vehicle through the My Car Pedigree link, you can also view the KBB Fair Purchase Price and the CarFax report for all our inventory. Simply call us today at Honda of Ann Arbor, 734-219-6682, or at MINI of Ann Arbor, 734-219-6681 SHOP WITH CONFIDENCE This all comes on this 2018 Honda CR-V EX! . EXPERTS REPORT "The 2018 Honda CR-V sets a new pace for its rivals to follow. Notably, we picked the 2018 Honda CR-V as one of Edmunds' Best Family SUVs and Best Small SUVs for this year." -Edmunds.com. .
EX trim, Crystal Black Pearl exterior and Black interior. Heated Seats, Moonroof, Satellite Radio, iPod/MP3 Input, Bluetooth, Turbo Charged, Aluminum Wheels, Back-Up Camera, All Wheel Drive. **FRESH FLUIDS****FULL SAFETY INSPECTION** ABOUT US At Germain of Ann Arbor, our friendly staff is happy to help you find the best value and vehicle for your motoring needs! Review our websites where we list the most up to date information on our reconditioning process, all repair records, and information related to this vehicle through the My Car Pedigree link, you can also view the KBB Fair Purchase Price and the CarFax report for all our inventory. Simply call us today at Honda of Ann Arbor, 734-219-6682, or at MINI of Ann Arbor, 734-219-6681 BUY WITH CONFIDENCE This all comes on this 2018 Honda CR-V EX! **FRESH FLUIDS****FULL SAFETY INSPECTION**. EXPERTS REPORT Edmunds.com's review says "The 2018 Honda CR-V sets a new pace for its rivals to follow. Notably, we picked the 2018 Honda CR-V as one of Edmunds' Best Family SUVs and Best Small SUVs for this year.". . **FRESH FLUIDS****FULL SAFETY INSPECTION**, CARFAX 1-Owner. EX-L trim, Modern Steel Metallic exterior and Gray interior. Sunroof, Heated Leather Seats, Back-Up Camera, Satellite Radio, Power Liftgate, Alloy Wheels, Turbo, All Wheel Drive. WHY BUY FROM GERMAIN OF ANN ARBOR? At Germain of Ann Arbor, our friendly staff is happy to help you find the best value and vehicle for your motoring needs! Review our websites where we list the most up to date information on our reconditioning process, all repair records, and information related to this vehicle through the My Car Pedigree link, you can also view the KBB Fair Purchase Price and the CarFax report for all our inventory. Simply call us today at Honda of Ann Arbor, 734-219-6682, or at MINI of Ann Arbor, 734-219-6681 BUY WITH CONFIDENCE This all comes on this 2018 Honda CR-V EX-L! . EXPERTS ARE SAYING "The 2018 Honda CR-V sets a new pace for its rivals to follow. Notably, we picked the 2018 Honda CR-V as one of Edmunds' Best Family SUVs and Best Small SUVs for this year." -Edmunds.com. .
EX-L trim, Basque Red Pearl II exterior and Gray interior. Moonroof, Heated Leather Seats, Back-Up Camera, Satellite Radio, Power Liftgate, Aluminum Wheels, Turbo Charged Engine, All Wheel Drive. **FRESH FLUIDS****FULL SAFETY INSPECTION****NEW AIR FILTERS* ABOUT US At Germain of Ann Arbor, our friendly staff is happy to help you find the best value and vehicle for your motoring needs! Review our websites where we list the most up to date information on our reconditioning process, all repair records, and information related to this vehicle through the My Car Pedigree link, you can also view the KBB Fair Purchase Price and the CarFax report for all our inventory. Simply call us today at Honda of Ann Arbor, 734-219-6682, or at MINI of Ann Arbor, 734-219-6681 SHOP WITH CONFIDENCE This all comes on this 2018 Honda CR-V EX-L! . EXPERTS CONCLUDE Edmunds.com's review says "The 2018 Honda CR-V sets a new pace for its rivals to follow. Notably, we picked the 2018 Honda CR-V as one of Edmunds' Best Family SUVs and Best Small SUVs for this year.". .